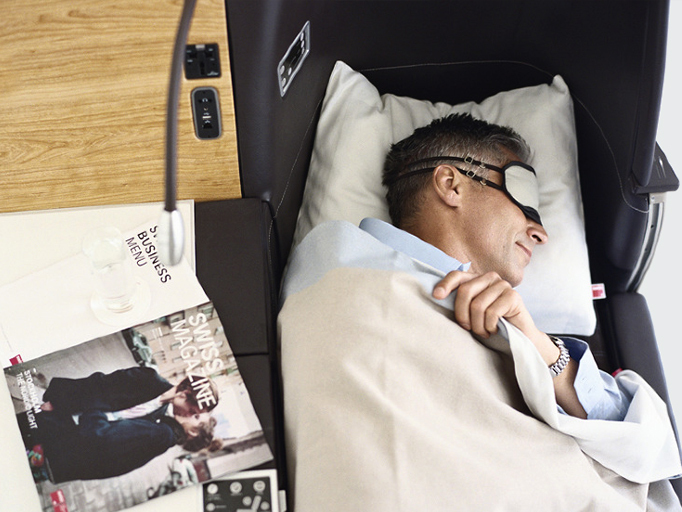 Our prize-winning Business Class seat and cabin interior design is the result of close collaboration with Swiss’ cabin interior team and Thompson Aero Seating – from invention to design development, right through to final production of the Vantage Business Class seat. The seat shell forms the footwell for the passenger behind. During the design process, changes that are made to the front have a substantial impact on what happens in the back, and vice versa. 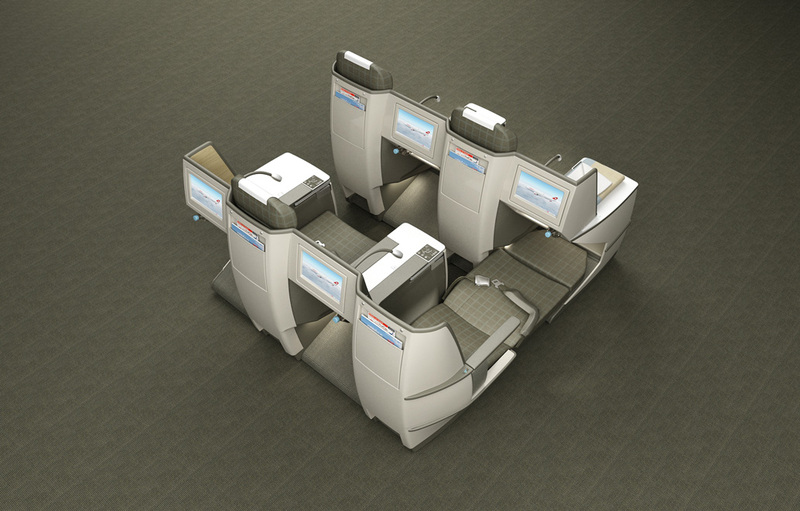 Each step of design development is carefully scrutinized by airline management. 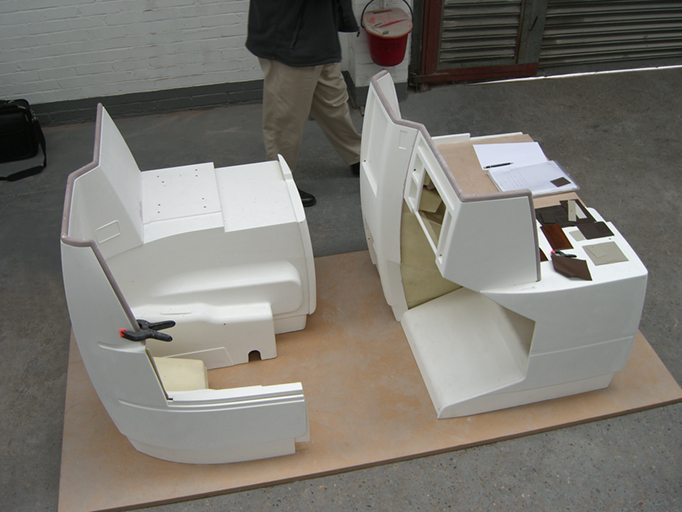 Essential to this process are fully functional mock-ups and authentic surfaces, according to the cabin’s CI colours and materials. An integral concept combines an aesthetically unified cabin with quiet and homogenous surfaces, which promote comfort and a feeling of well-being. Our applied Knowledge offers your clients what they are looking for. We developed a calm and roomy environment, where passengers can relax and work, eat and sleep, without being disturbed by the neighbors. 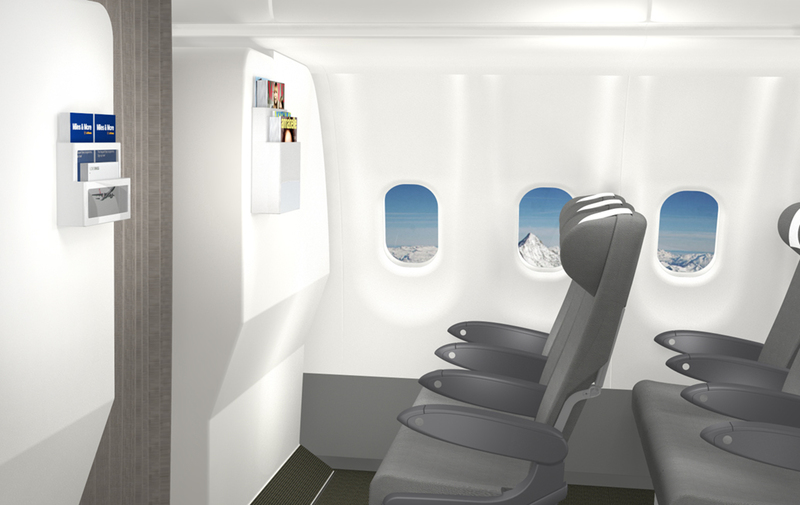 Patrick Lindon Industrial Design was commissioned by Swiss to design and manufacture a new publication storage system for the A320 short-haul fleet. 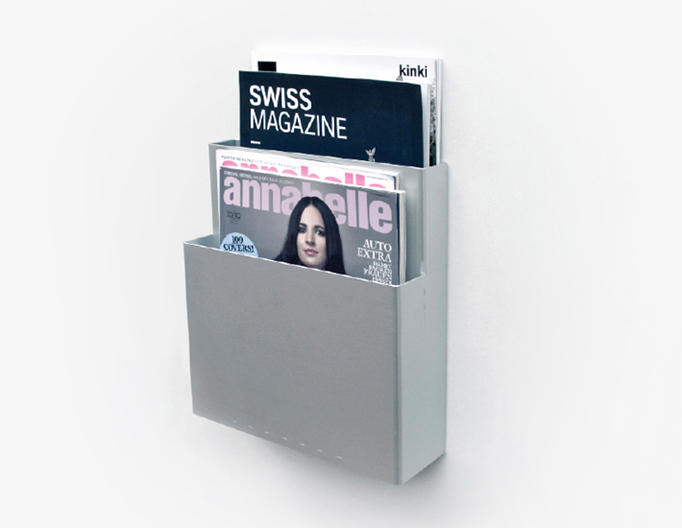 The brushed aluminum and clean lines make for a not only elegant, but light-weight storage system. 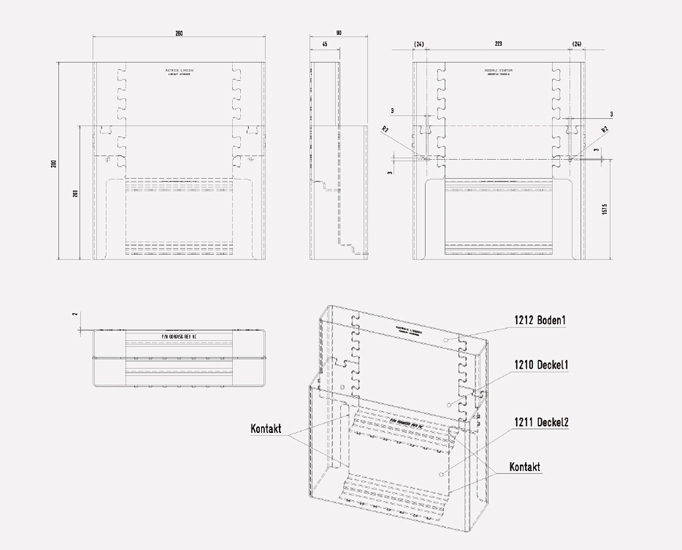 The new brochure racks have the trademark construction of Patrick Lindon’s T71 Modular Furniture System. They are available in three styles: double-slot with and without windows, as well as a simple, single-slotted version. To bring new products on board, we must ensure that they are either already certified, capable of being certified, or we certify them for our clients. 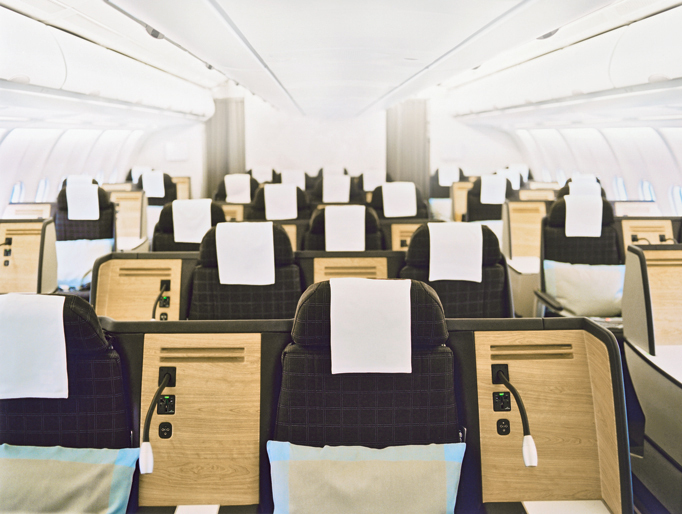 Newly designed products must be certified before they are installed on an aircraft. 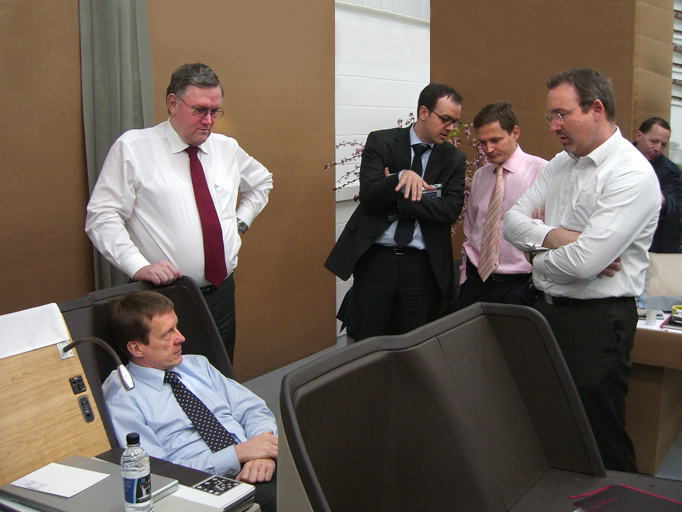 This process takes one to five years to complete, depending on the complexity of the product. 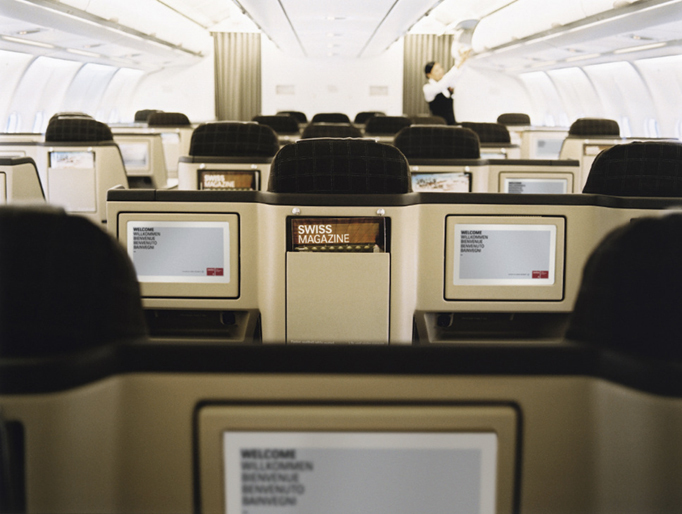 Aluminium and a lightweight, transparent Lexan F2000A sheet was selected to create new inflight brochure racks for Swiss. Both materials comply with flame, smoke and toxicity requirements. 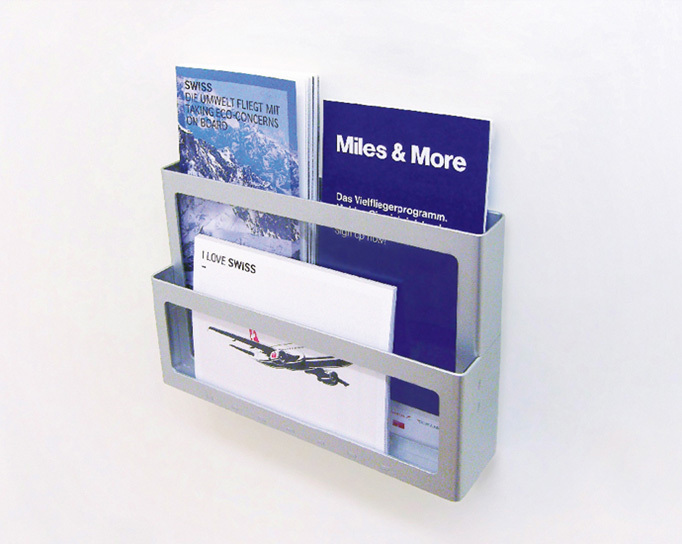 The new brochure racks have been developed directly from Patrick Lindon’s T71 Modular Furniture System. Weight was signifcantly reduced by reducing the gauge of the aluminum and the addition of notches and cut-outs in the product.